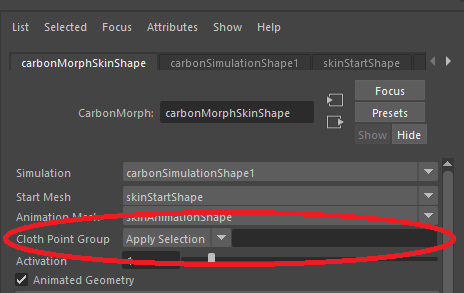 I tried to use carbon morph but it doesn't work then I opened a sample scene "example_animated_morph.mb" and it doesn't work too. When I added a carbon cloth into the scene, it works fine. Do I need to change some settings for it? 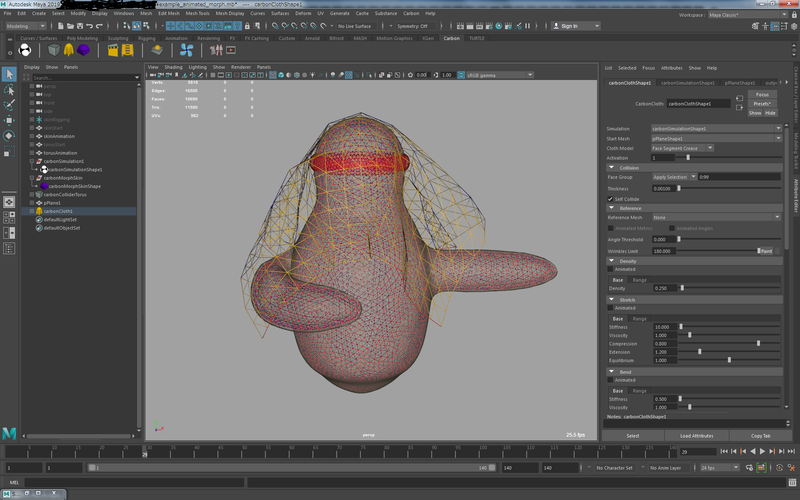 Looks like all of the vertices of the Morph geometry are drawn red by the Physics Draw. This indicates that they are kinematic, i.e. behave like a Collider. 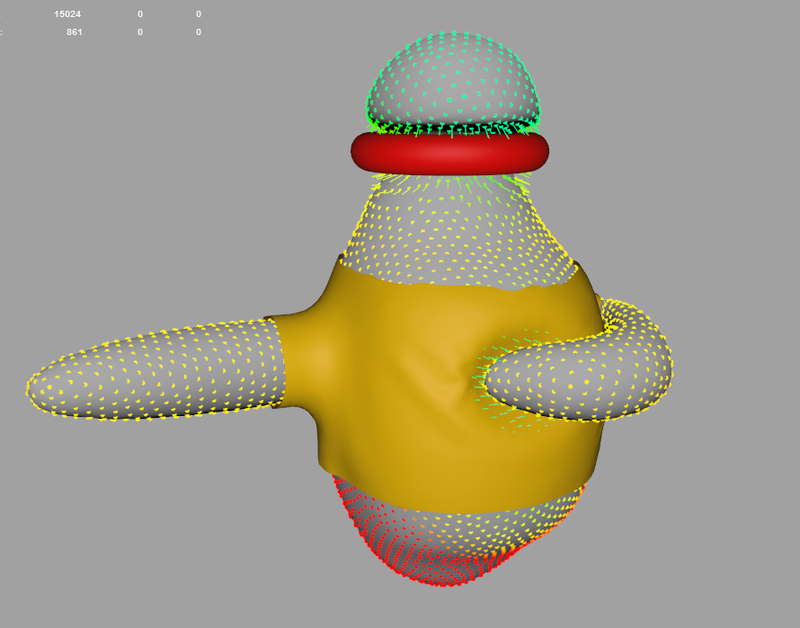 Starting at version 0.9.0, all Morph objects are full Colliders per default, and you have to specify a Cloth Point Group (see image attached). If this section is left empty, you would get a result as seen in your screenshot. It is possible that you loaded the "example_animated_morph.mb" from an older beta version (<0.9.0)? He could wear a t-shirt.